Why Palazzo Verde is the Most Beautiful Wedding Venue in the South? If you are planning to tie the knot and wanted the butter yellow rays of the sun to sanctify your marriage vows, then a garden wedding is right for you. English poet Ralph Waldo Emerson once said that “The earth laughs in flowers,” and we could never agree more. A place embellished in floral ornaments and lush greeneries always imbibes laughter and romance; and more than anything, makes a good setting for special occasions particularly a wedding. 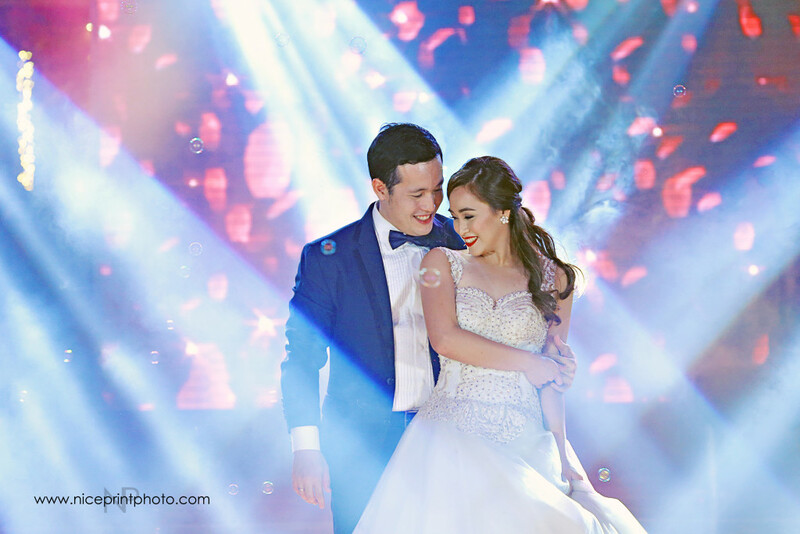 Palazzo Verde in Vista Alabang is one of the most in demand when it comes to garden wedding venues in southern Metro Manila, and here’s why. 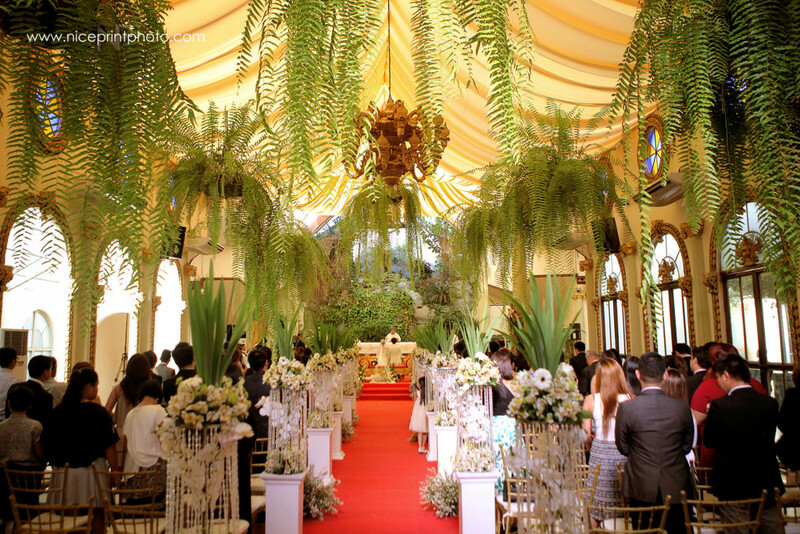 Situated in Vista Alabang, Daang Reyna, Las Piñas, Palazzo Verde has its own indoor wedding chapel called Notre Dame de Vie Chapel. Being referred to as a chapel may be a bit misleading as Notre Dame de Vie looks more like an enchanting Italian basilica with its colossal domes and Venetian fountains. The baroque-style chapel uses tiffany chairs instead of wooden pews commonly found in traditional Catholic churches. The chapel also has a gilded footbridge that leads to Palazzo Verde Canal where Venetian-inspired functional gondolas are found floating and can be used by the couple or debutantes during pre-event pictorials or on the day of the event. However, if the couple to be wed is non-Catholic, the Garden Gazebo is available as an alternative ceremony area. If your main concern is to always look fresh in photos and videos, then you can definitely be at peace with Palazzo Verde as both the chapel and the reception venues are fully air-conditioned. Guests, too, can be comfortable wearing whatever kind of fabric they like, even the thickest one as the scorching heat of the sun and the humid weather can’t make them feel sticky and smelly. Palazzo Verde is also generous with its parking space. Wedding guests do not have to worry where they’d park their cars. The place is endowed with vast land it can provide more than enough space for everyone. Palazzo Verde perfectly embodies the authenticity of nature and the classic imagery of a floral paradise with its five reception venues that are European-inspired. The Colonial Ballroom, for one, is Buckingham Palace–inspired with lots of Renaissance paintings hanging on the wall and enchanting chandeliers dangling on the ceiling. Indoor gardens, on the other hand, characterized Byzantine 1 and Byzantine 2 with Byzantine 1 barricaded with glass walls that offer astonishing view of the Palazzo’s outdoor environment. It also has a charming Koi pond with waters that reflect the skies. Byzantine 2, on the same vein, has a secret indoor garden with cascading waterfalls and well-manicured landscape. These two halls can be combined if necessary to accommodate a much larger crowd. Victorian 1 and Victorian 2, however, offer a romantic delight with its interiors reviving the spirit of the Victorian era. Leaf-plated pillars and grand balustrades adorn these receptions that can hold 200 and 300 people, respectively. Both are ideal for bountiful banquets and stunning dramatic entrances. 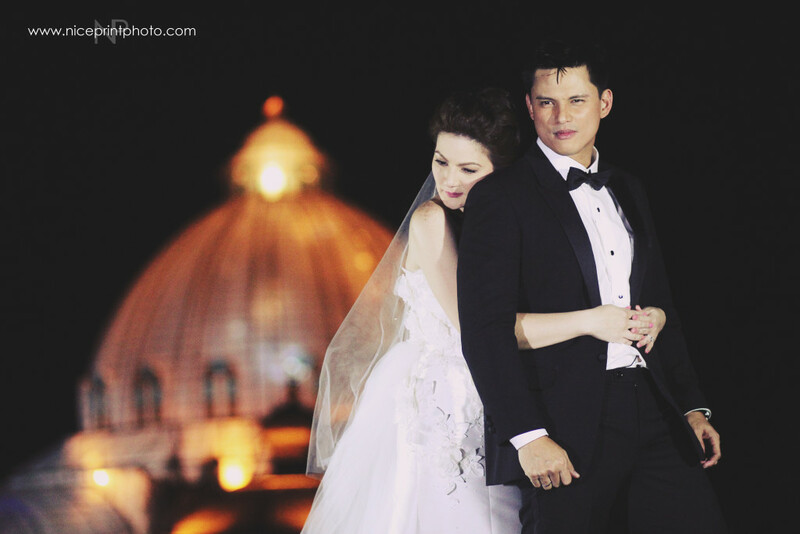 Many celebrity couples have exchanged vows in Palazzo Verde such as actors and highly sought-after endorsers Carmina Villaroel and Zoren Legaspi; Joross Gamboa and his non-showbiz girlfriend; and Pilipinas Got Talent Season 2 winner Marcelito Pomoy and his long-term girlfriend. Senator Francis Escudero’s wife, actress Heart Evangelista, also had her star-studded bridal shower in Palazzo Verde last 2014. In 2015, Kapamilya star Julia Barretto threw a pre-debut party at Palazzo with her fans and, more recently Please Be Careful with My Heart star Janella Salvador (niece of Philip Salvador) celebrated her 18th birthday in Palazzo Verde with her family and other Kapamilya stars.